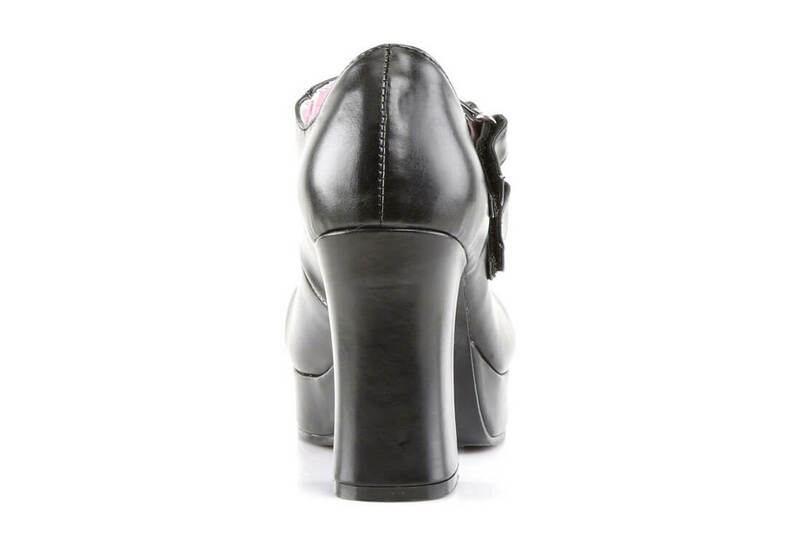 These super cute Maryjane Goth platform heels have a 3 1/2 inch platform heel with a 1 1/4 front platform. They come with dual Velcro straps across the front with small skull and cross bones buckles. I was particularly impressed with customer service, the quick ship - and the product quality is as expected.....she was thrilled with the gift!